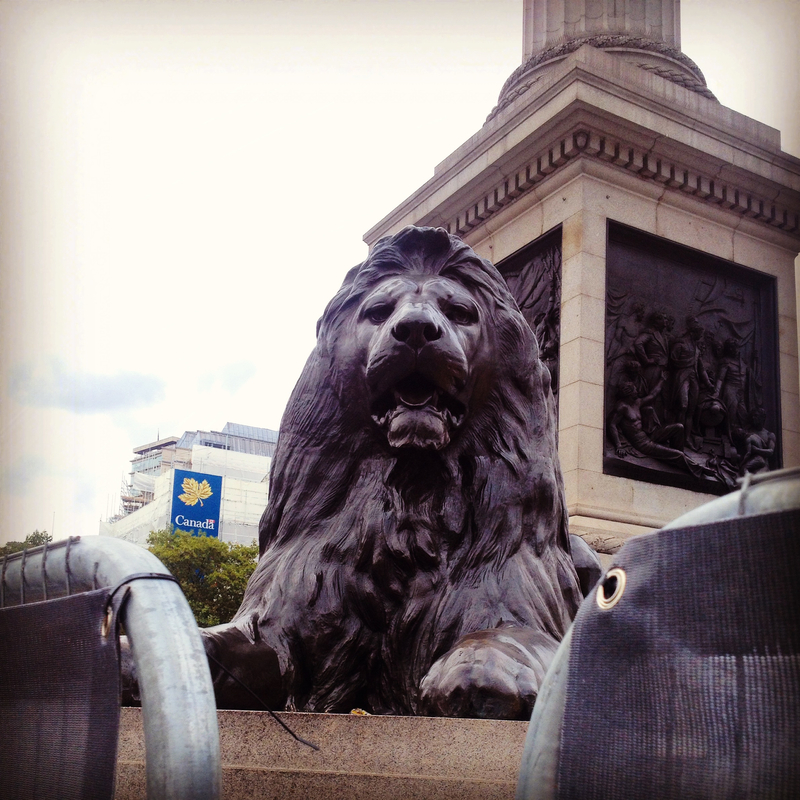 Our Definitive London Bucket List! We’ve lived in London for four years now and we’re still discovering all the best places the city has to offer. Sure there are the iconic tourist hot spots and must-sees, but we’re also eager to explore and find those lesser-spotted stop-offs and hidden gems that the hoards haven’t yet found! Living in London means living to work rather than working to live (we wrote more about that here), so even though we moved here with grandiose notions of spending our time exploring all the Thameside treats available to us, the reality is that we so rarely get time off to truly appreciate what’s on our doorstep. 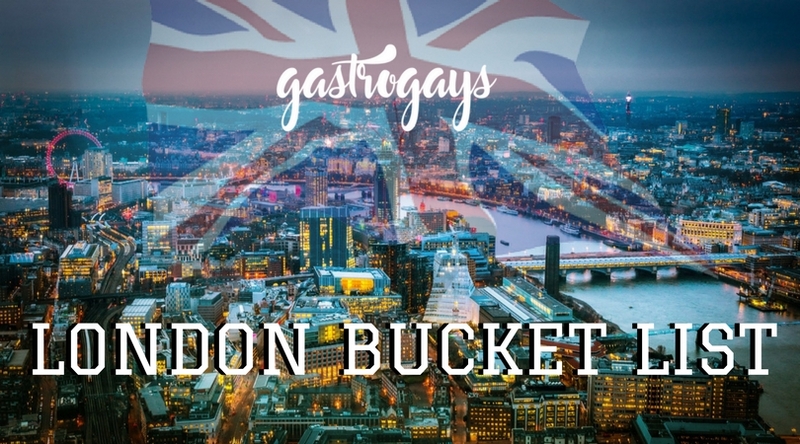 So, in late 2016 we bashed our heads together and brainstormed our definitive London Bucket List – all the places, things, sights and sounds we wanted to tick off our list once and for all. These are numbered, but not in any particular order. By all means use this a blueprint for your next trip to London or use it as a guide to tick off every so often if you also live in London. Obviously everything is our own personal opinion, so everything on the list might not suit every reader. Keep checking back as we tick off one-by-one – any suggestions you have, put ’em in a comment below! Perched atop 20 Fenchurch Street (a skyscraper in the City also known as The Walkie Talkie), Sky Garden offers incredible 360º views over three floors under an enlarged glass dome with gorgeously landscaped gardens and terrace. Entry to the Sky Garden is free, but space is limited and visits should be pre-booked online. From up in the sky to down on the water, experience London as you float along the River Thames on City Cruises. Running from morning to night from Westminster to Greenwich and back, you can hop-on and hop-off from as little as £10 per adult. 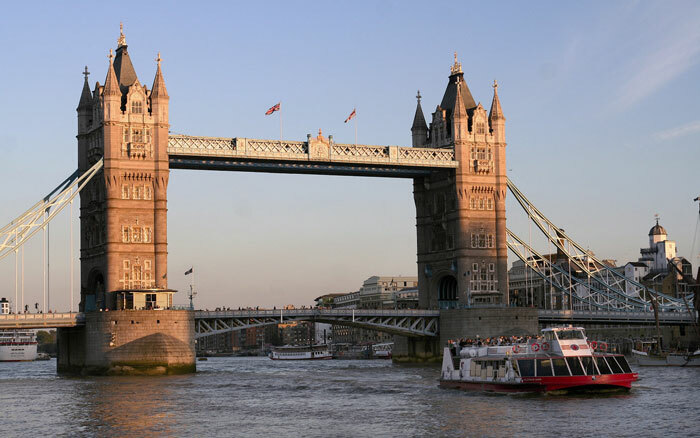 If you just want to get out on the water, combine it with another Bucket List activity and use the Tate to Tate service or hop aboard one of the commuter Thames Clippers boats. London’s got an incredible food scene and there’s no shortage of snappy one-day or even evening classes. If you’re fond of getting stuck-in and learning something, why not book onto a cookery class?We’ve done them at Borough Kitchen in Hampstead, London Cookery School with Dan Lepard and we’ve even done a barista course at Department of Coffee and Social Affairs. We also got the opportunity to cook with Paul Hollywood for Waitrose TV (bit of a ‘pinch us’ moment!). A unique way to cross the Thames and see a completely different view of the city from high above on the Emirates Air Line. 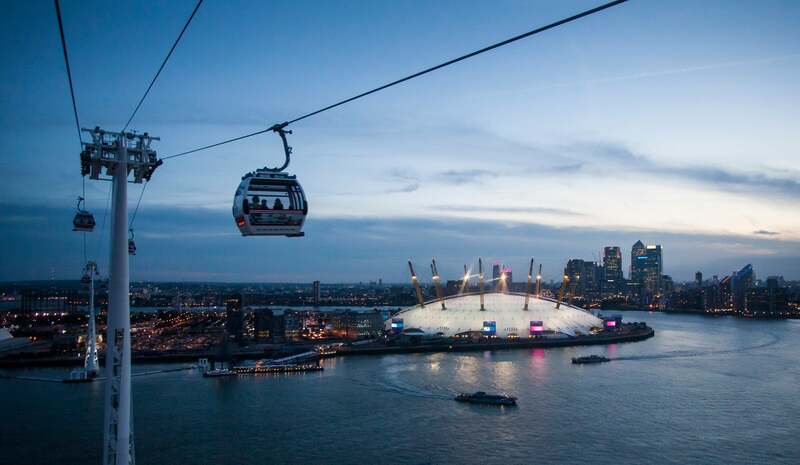 A cable car connecting Greenwich to Royal Victoria/Royal Docks, it operates from early morning ’til evening daily with a trip costing about £5. 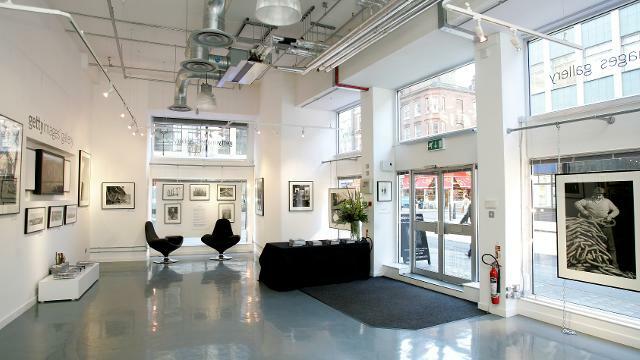 Two exhibition spaces dedicated to the art of photography just a street apart! In an Instagram world where anyone with an iPhone can craft a career as a picture taker, appreciate these absolute pros in action with ever-changing exhibitions. 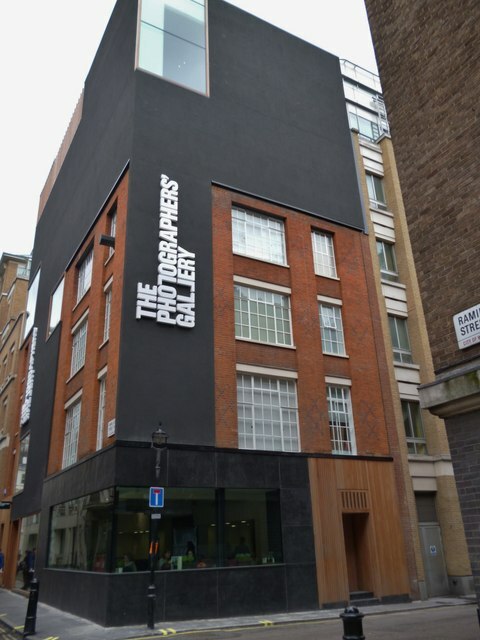 Bisected by Oxford Street, the Photographer’s Gallery is on Ramillies Street and Getty Gallery is on Eastcastle Street. One of the most iconic double acts in culinary history, you cannot visit London without sampling proper fish and chips. 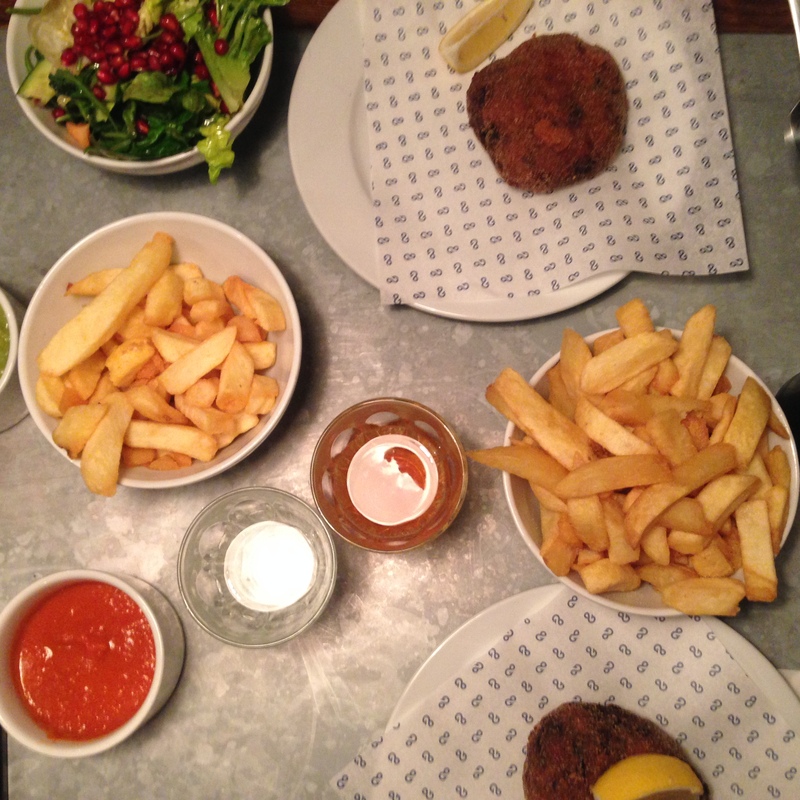 We’ve written a post about where we’ve found the best fish and chips in London, but notable mentions from us go straight to Poppies and Kerbisher (pictured above). 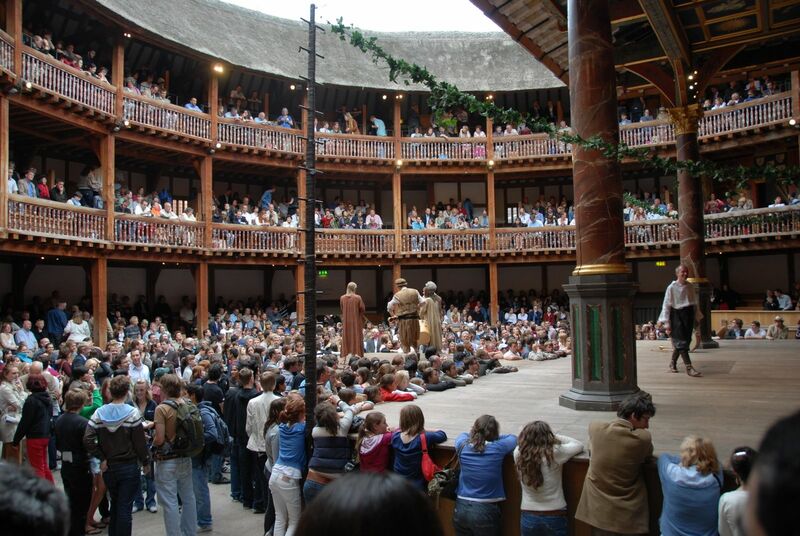 Shakespeare’s old stomping ground, Shakespeare’s Globe on The Southbank is dedicated to the exploration of the playwright’s work and the playhouse for which he wrote, whilst aside from daily performances there’s also an exhibition and tour. Eating in London is all about what’s new, unique, fresh and exciting – so what better way to enjoy a unique culinary experience than in a converted Tube carriage of whilst careening along the river. 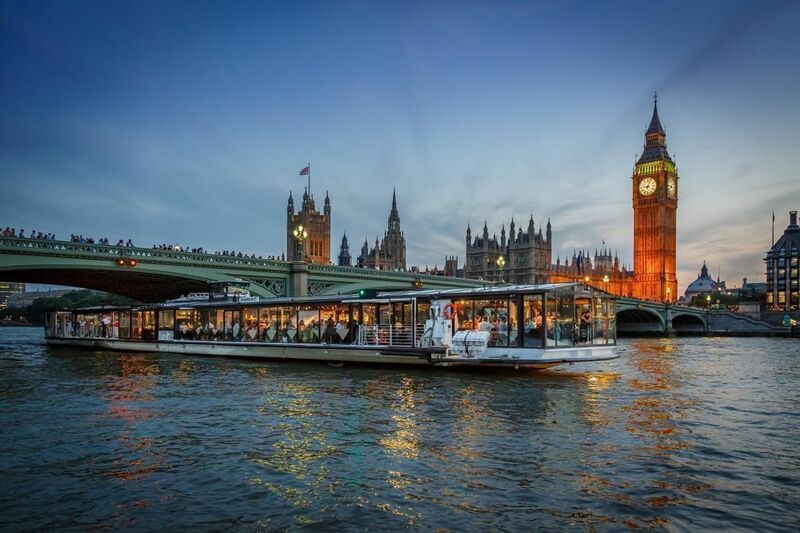 Something like Bateaux London might be just the ticket! 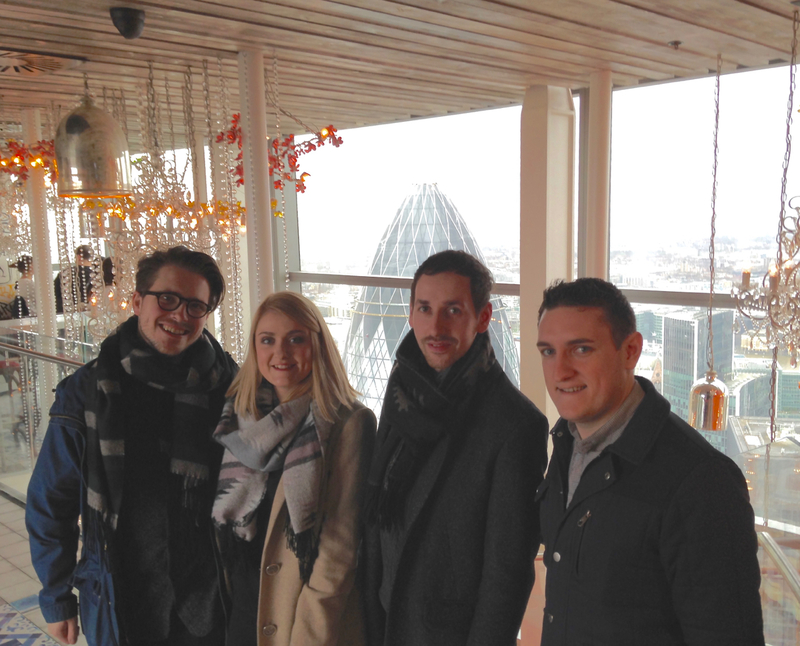 The iconic restaurant atop the Heron Tower on Bishopsgate, Duck & Waffle is famed for being a destination restaurant atop the city that’s open 24 hours a day. We’ve been here for breakfast quite a bit, and it’s pretty iconic to have #BreakfastInTheSky but whether you stop in for early brunch, a late dinner or a round of drinks with nibbles in the wee hours of the morning, you have to experience dining in the clouds with Dan Doherty’s chef team. Not everyone’s cup of tea but the drag performances are as legendary as iconic gay venue The Glory is, situated on Dalston’s Kingsland Road in east London. Though there’s now about eight different locations across the city, we’ll always prefer the original Konditor & Cook on Cornwall Road in Waterloo for a bit of a grab-and-go sweet treat or show-stopping bake – one of the best in London. 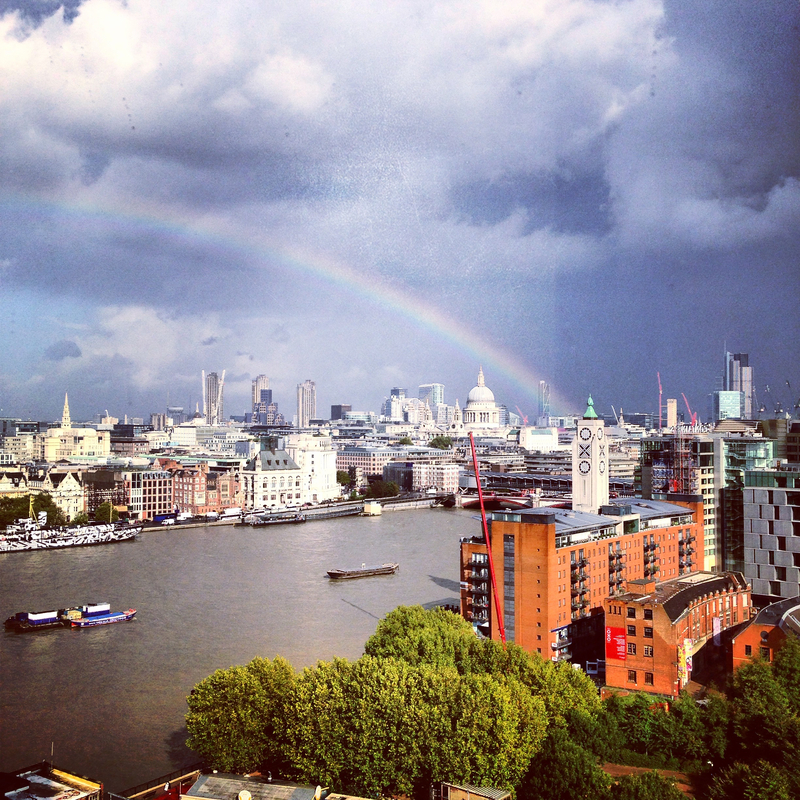 Little-known fact: you don’t have to pay to get into The Shard and enjoy that fantastic view. Want to know how? 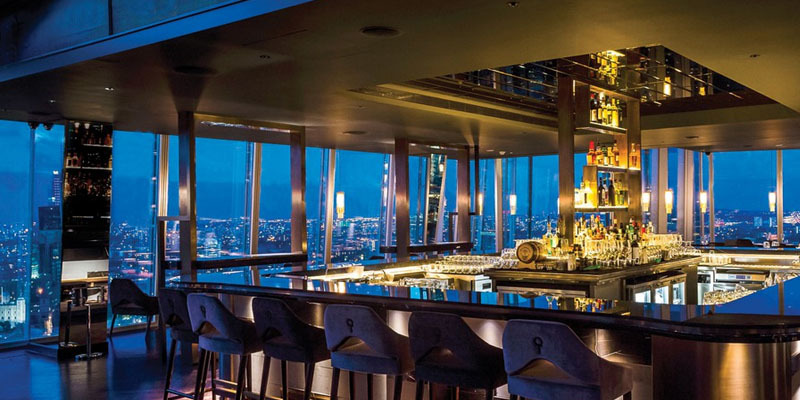 Book a table at the building’s fancy cocktail bar Aqua Shard and simply pay for your drinks as you sip perched up towards the clouds. Granted it only allows views halfway up from the tour, which takes you up to the 70th floor of the 90-odd storey skyscraper, but it’s cheaper and more delicious this way! There’s something to be said for exploring a museum after-hours, as such. Sometimes there are live DJs, there’s often drinks, on rarer occasions there’s even food and usually there’s a programme of events including talks, interactive demonstrations and guided tours. The National Portrait Gallery Late Shift takes place every Thursday and Friday; there’s a weekly V&A Friday Late, likewise the Wellcome Collection but only on the first Friday of each month; then there’s the bi-monthly Late at Tate Britain Lates; whilst the Natural History Museum pulls all-nighters with its Dino Snores for Grown-Ups (not free). It needs no introduction. 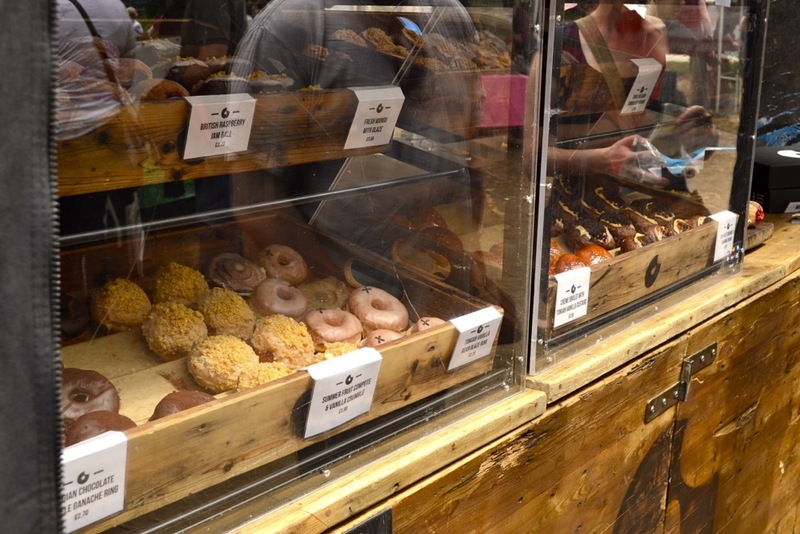 London’s premier food market Borough Market has everything you need to fill yourself up for an entire day! Coffee and pastries in the morning, street food traders at lunch, destination restaurants for dinner, cheese, wine and other nibbles late into the night – we take that as a challenge! 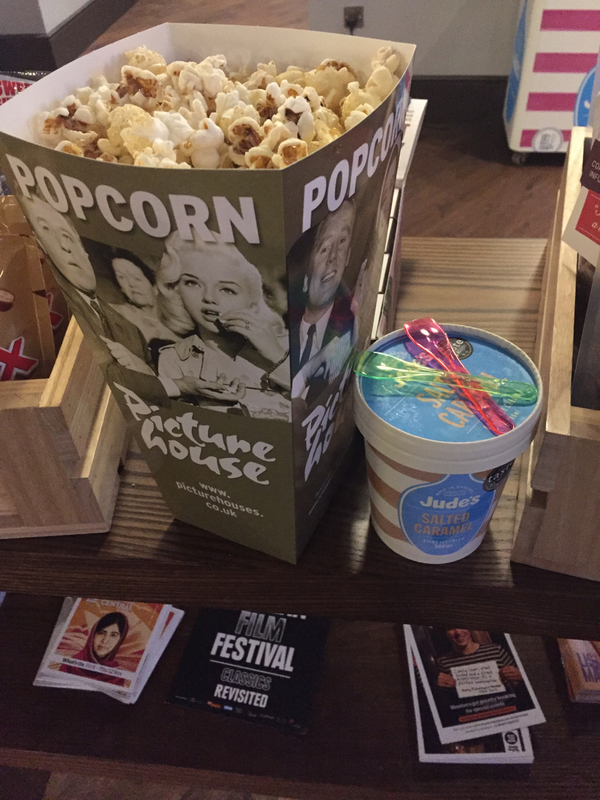 From Brixton’s Ritzy to Portobello Road’s iconic Electric Cinema, the BFI’s huge IMAX in Waterloo to the sleek central London screener that is Picturehouse Central. There’s probably 50 worthwhile cinemas to choose from in the city. Though they can be pricey, you might be treated to art deco features, velvet-lined couch beds, incredible food and drink or even one of the country’s smallest, almost-private screens. Though our local Peckham one PeckhamPlex is nothing to look at, it’s one of the cheapest seats in the city, £4.99 for any seat (non-3D)! 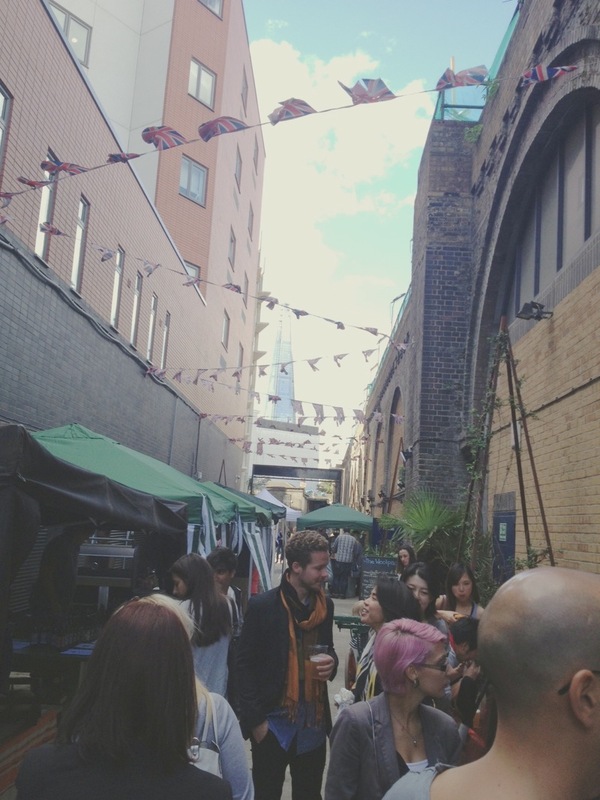 There’s also outdoor screenings aplenty across London in the balmier months, like the Floating Cinema and Rooftop Film Club at the Bussey Building. 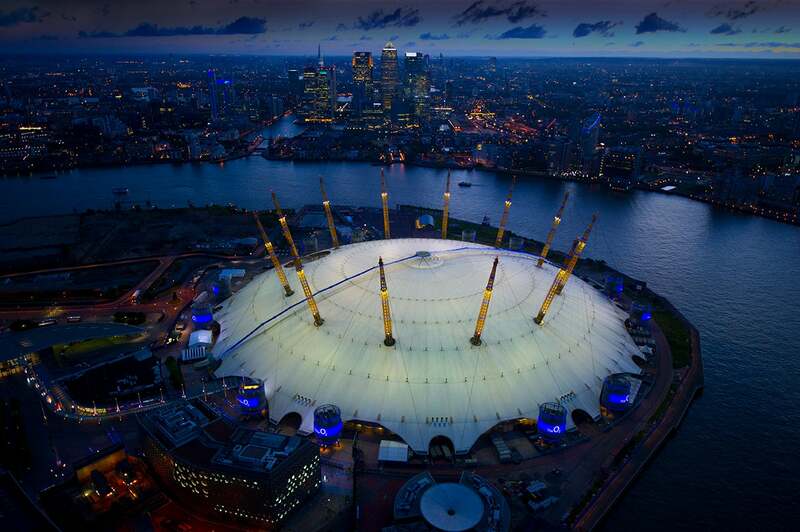 An exhilarating climbing adventure in central London, climb the roof of the iconic Millenium Dome, now known as the O2 Arena, with Up At The O2. 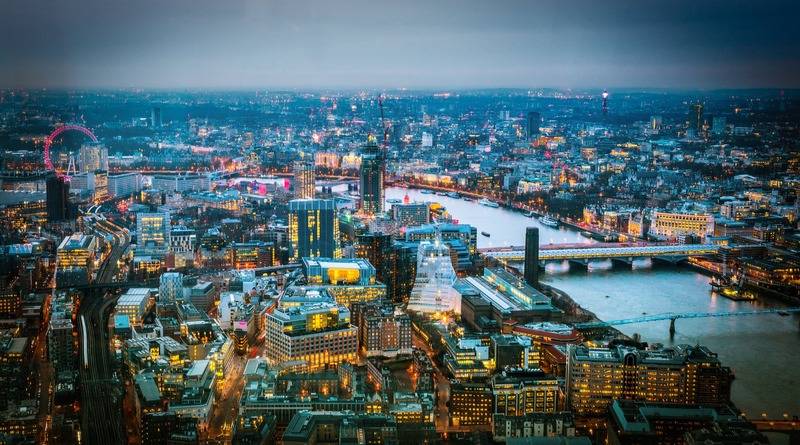 Make sure this is on your London bucket list if you’re staying a while – you can climb an attraction, rather than just visit it! We prefer the National Portrait Gallery to its bolder bigger brother ’round the corner, the National Gallery. It’s all about portraits here and entry to the gallery is free, though some special exhibitions do have an entry fee. Look out for the highlight exhibition of each year, the Photographic Portrait Prize. It also opens on a ‘Late Shift’ most Thursdays and Fridays, until 9pm. A new addition to the London scene and one of our favourite fun-filled experiences we’ve ever gotten the chance to do, this isn’t necessarily a tourist must-do on a short trip to London but it’s definitely one for the bucket list if you live here. 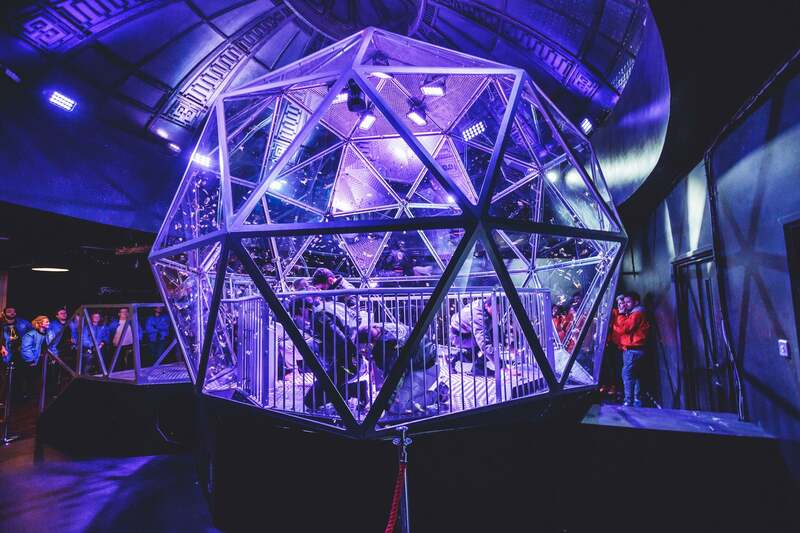 Thing is, the Crystal Maze Experience, recreating the beloved TV show in a renovated office block in Islington, books up months and months in advance. 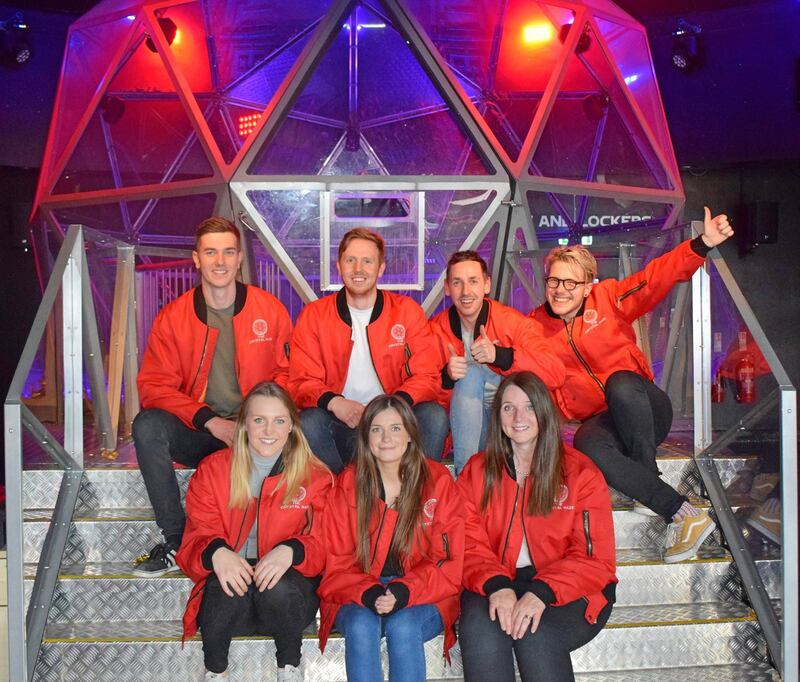 If you’re set on tackling the challenges and entering the Crystal Maze, book your spot RIGHT NOW. It might be considered ultra-touristy and a bit tacky, but we all have to do The London Eye at least once. 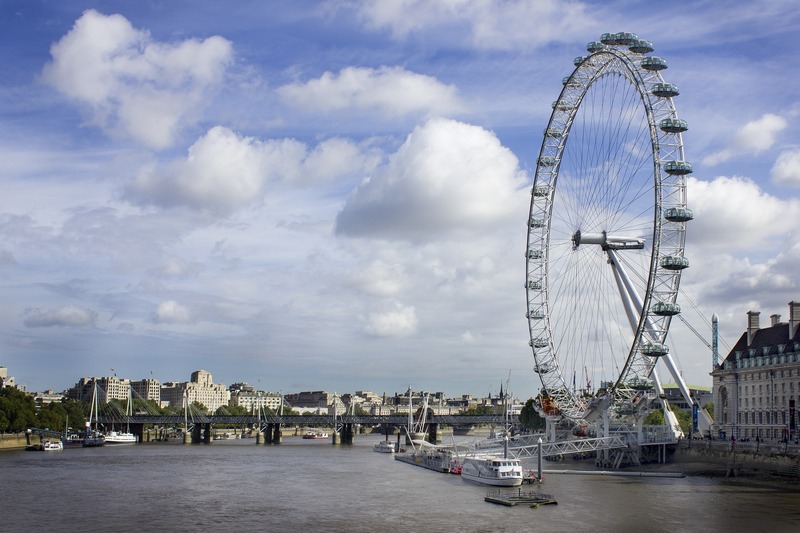 Spin slowly round and take in the changing skyline and the impressive, expansive views across the city in the big wheel at Westminster. Top tip: try not to pay full-price, there are 2-for-1 tickets available often in different promotions, shop around if you can. 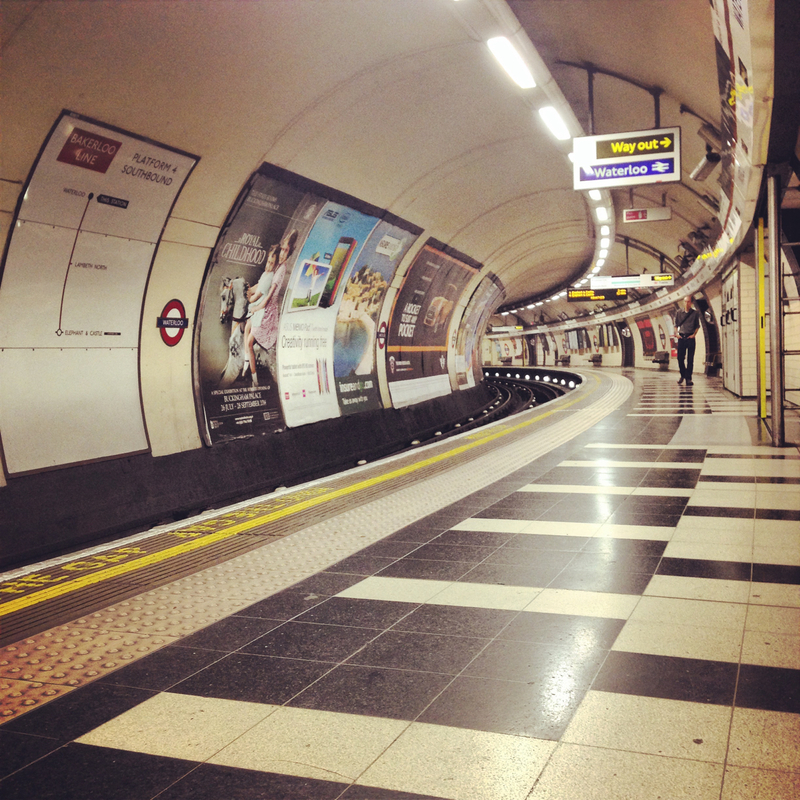 London isn’t London without the Tube, Oyster Cards and Routemaster buses.. and and awful Southern Rail of course, too! 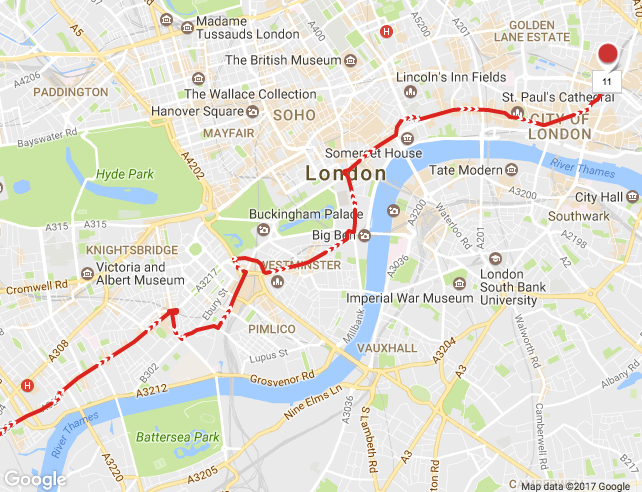 Learn everything there is to know about what keeps London moving and why the London transport system is so important, historic and groundbreaking in the interactive London Transport Museum that’s right in the heart of Covent Garden. An hour or two really well-spent whilst checking off your London Bucket List, it’s £17.50 for adult entry but your ticket allows you unlimited repeat visits for a year. Top tip: If you book online, you’ll only pay £16! One of the most iconic sights in London is Tower Bridge, with its light blue steel suspensions on either side connecting Bermondsey to Whitechapel on either side of the Thames. There’s also the Tower of London one one side and City Hall on the other. Did you know that other than walking along the bridge you can go up inside it, take in the exhibition and walk along the top as part of the Tower Bridge Tour? When we did it there was a fascinating added exhibition about London’s 2012 Olympics and the history of the Olympics, both in London and internationally. Two Tates, but both very different and individual. 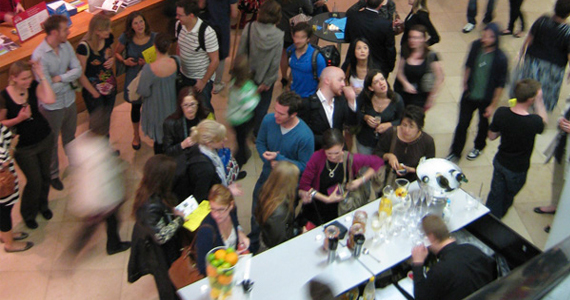 Tate Britain is the nation’s home of British art from the 1500s to the present day, located on London’s Millbank. Tate Modern, housed in an iconic turbine hall along the Southbank, is the country’s premier modern art gallery celebrating both British and international contemporary art across several floors and spaces. The Tate Boat, specifically connecting the two, runs every 40 minutes between the two Tates. A round trip is about £15 per adult. Other river services run between Millbank Pier and Bankside Pier. A top, thrifty, secret tip from us – take the no.11 bus, running between Whitechapel and Chelsea, to see most of the major sights of central London from the bus. A cheap alternative to overpriced tour buses, but without the rolling commentary. You can also take as many bus journeys as you like within one hour and you won’t be charged, so you can get on and off the 11 route at the sights you want to spend time around! With a unique viewpoint across the city, Primrose Hill is a picnic paradise when the weather allows. Best stick to spring or summer (unless you have blankets aplenty), it’s a bit of an uphill trek but worth it, and there’s lots of doggies too! 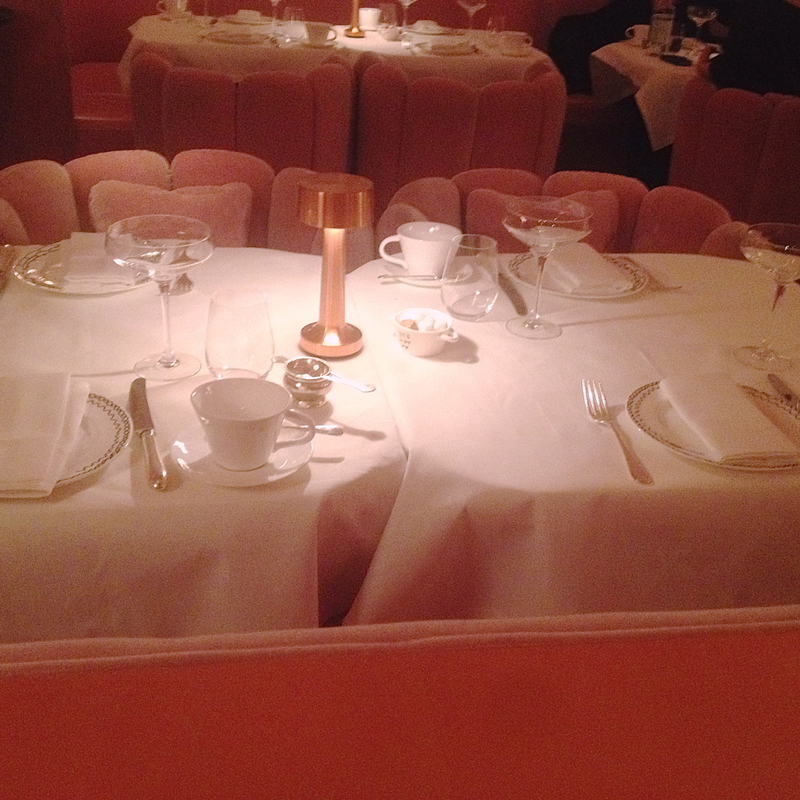 London is in love with the supperclub and we’ve gone to a couple in our time. 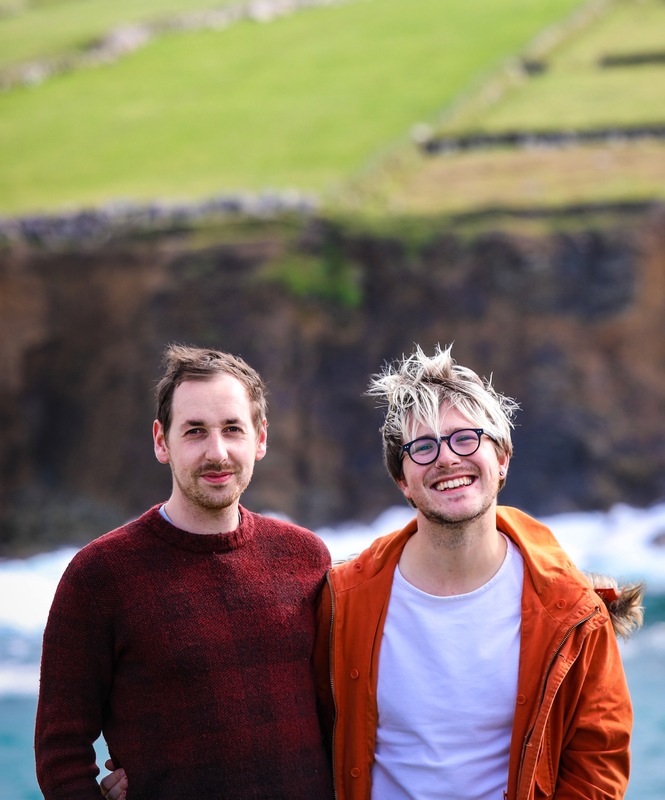 Our friend Tom Stephenson runs some, as does our friends Naomi Knill (Ginger Gourmand) and Jassy Davis (Gin ‘n’ Crumpets), as well as Joey O’Hare and we’ve heard amazing things about Guan Cha‘s Nyona Supperclub. They’re always popping up here and there, so best to check their Twitter pages for most up to date info! 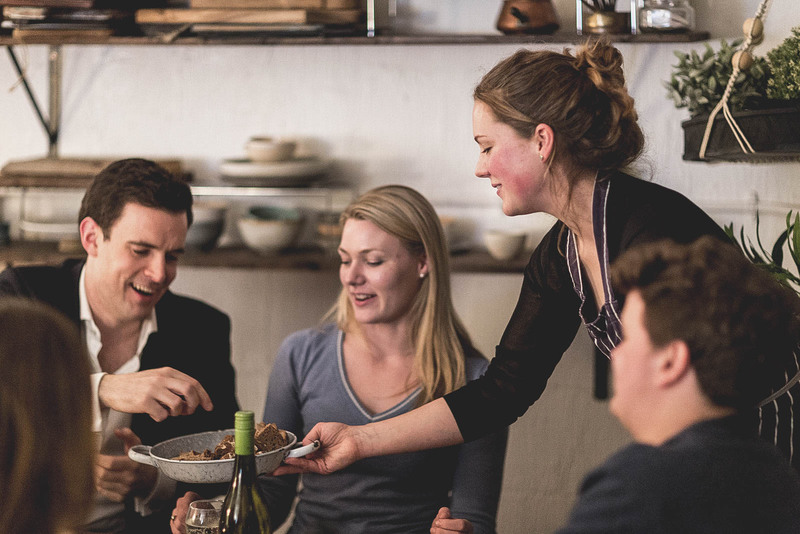 Read our feature on Joey O’Hare to learn more about her culinary style and supperclub pop-ups. 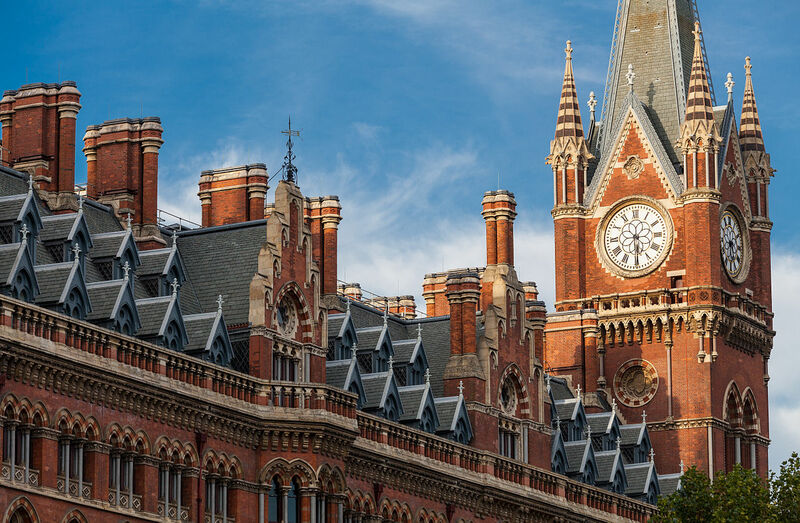 St. Pancras International is an absolutely stunning old-meets-new travel thoroughfare, mixing modern elements with historic, impressive architecture. Why not consider a train journey whilst you’re at it? 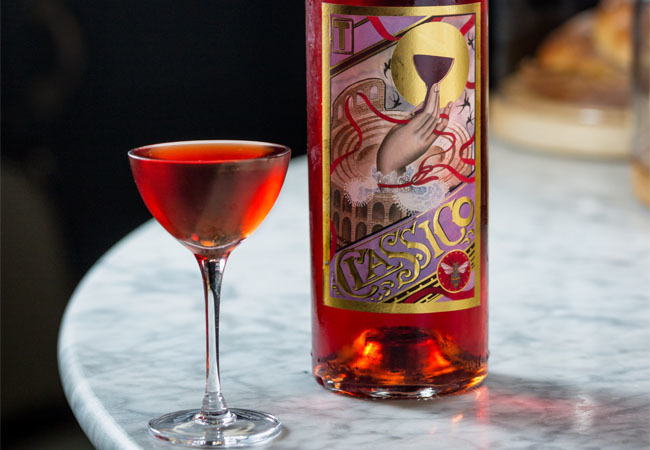 The best-made Negroni (and best value at £7) in the city is at Tony Conigliaro’s Bar Termini in Soho, a blink-and-you’ll-miss-it bar on iconic Old Compton Street, where you can also nibble on small plates of Italian charcuterie and cheese whilst the coffee menu is also well worth trying. One of London’s most iconic centres of worship right along the banks of the Thames, St. Paul’s Cathedral is both an active working church with four daily services and an extremely popular visitor destination, welcoming over 1.5 million people yearly as both worshippers and tourists. Breathe in the majestic architecture and ascend the floors to the different galleries and viewing points, right up to the Golden Gallery at the tip of the dome, underneath the ball and cross. At the top end of the ticket prices is adult tickets for £18 (walk-in; concessions available and online discounts too), but it’s worth noting that the price of admission includes entry to the Cathedral floor, crypt and the three galleries in the dome as well as multimedia guide and guided tour opportunities. 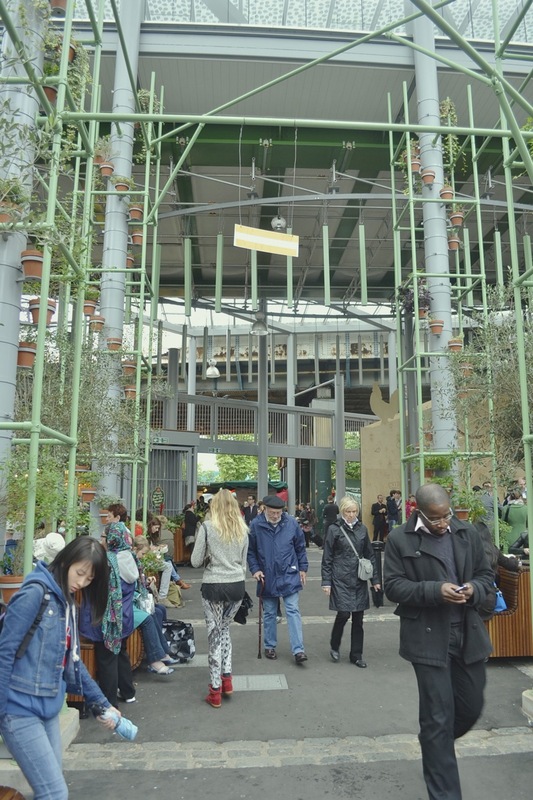 From Broadway to Brockley, street food at London markets (full post) is what keeps the London food scene fresh, exciting and fabulously affordable. With ever changing-traders and even lunchtime (KERB) and nightime markets (Dinerama), you’re never far from great grub! 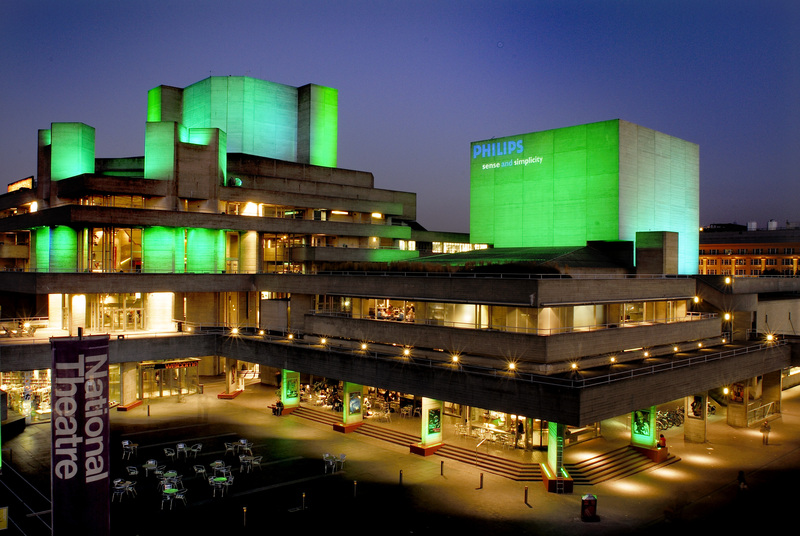 A cultural mish-mash and melting pot, you will most likely always find something of interest at The National Theatre along the South Bank. Presenting up to 25 new shows a year on its stages, it boasts three theatres, a learning centre, tours, restaurants, a riverside bar and a bookshop. 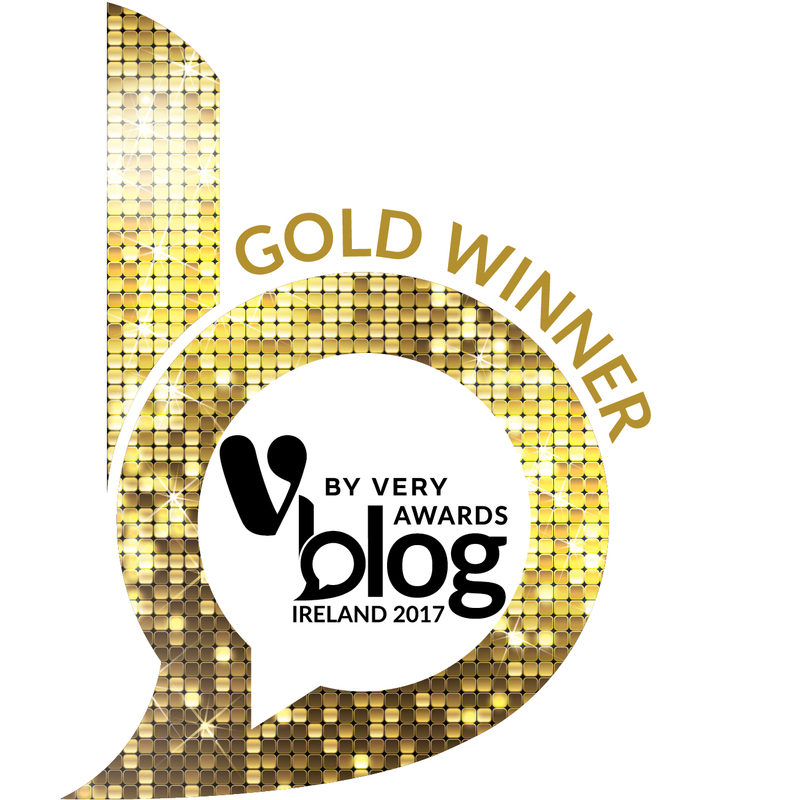 Keep an eye on their programme and keep up to date with special events and festivals through the year. See the Queen Elizabeth Olympic Park, the area of the East End that was transformed to host the London 2012 Olympic Games and what’s been left behind in its legacy. There’s also a huge Westfield shopping centre nearby, if that takes your fancy. We wrote about what there is to do, see and eat in Stratford – we used to live there! Famed as the ‘Curry Mile’, with some of the best Indian food available in the city, Brick Lane is a real clash of culture, from hipster hangouts like Rough Trade and Cereal Killer Café to the 24-hour bagel bars like Beigel Bake and the long-established Indian restaurants staffed by Bengalis and Bangladeshis. It’s a hive of activity every day, but especially on weekends, and is a colourful and eclectic area of the city well worth a walk-through. 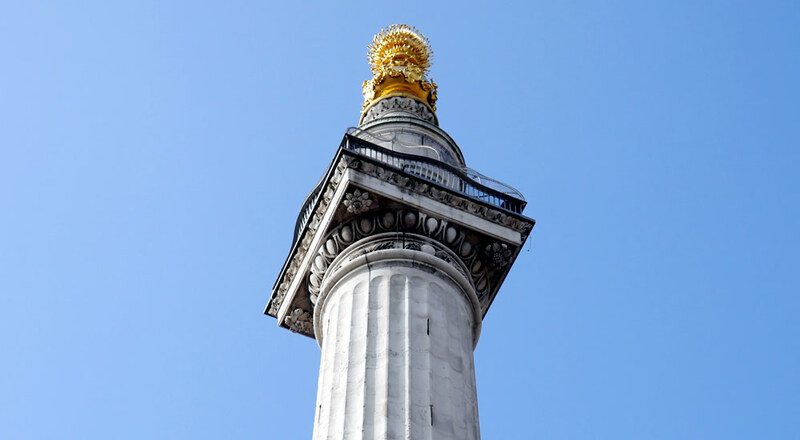 The Monument marks the area where the Great Fire of London began in 1666. Erected a decade afterwards, the tall structure is a permanent memorial to the lives lost and devastation caused to the city. 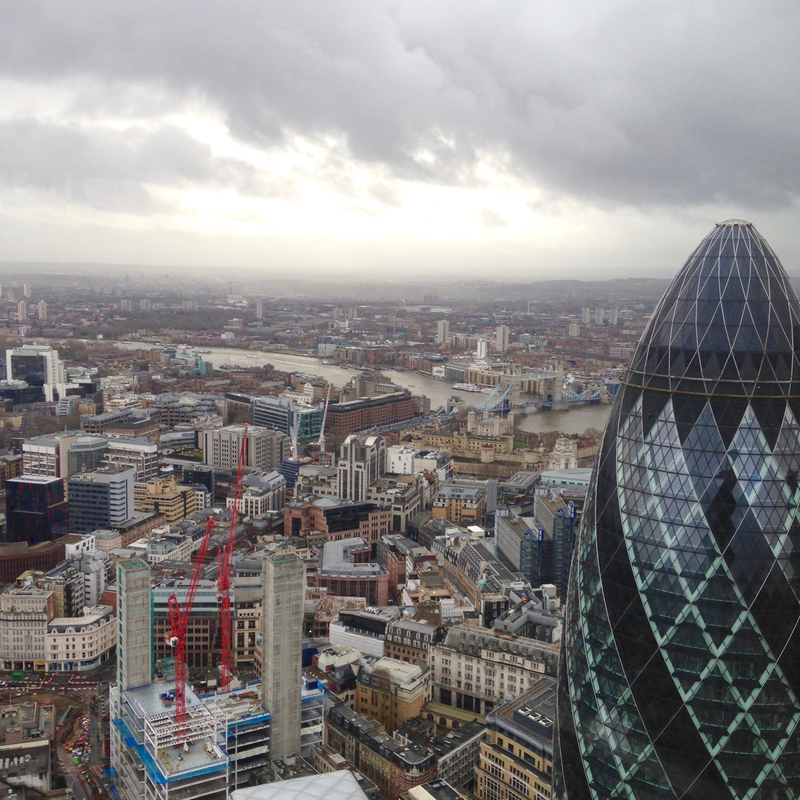 You can reach the top viewing platform with great views across the City and beyond by ascending the spiral staircase of a conservative 300 steps – make sure you’re ready for it! Open daily during working hours, it’s less than £5 per person and only cash payments are accepted. 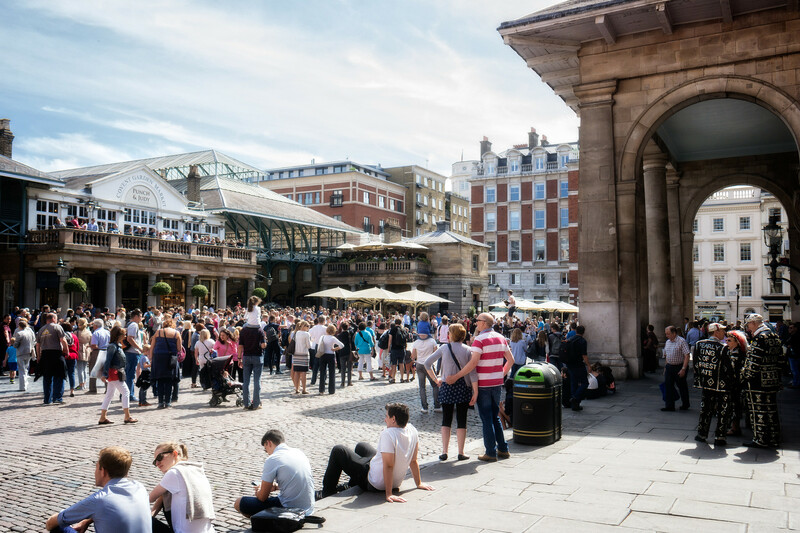 Now more of a high street (and designer) shopping and restaurant precinct rather than a market, there’s so much to see and do in Covent Garden. Spend an afternoon walking between here and the Seven Dials, two gorgeous areas of the city close to one another. 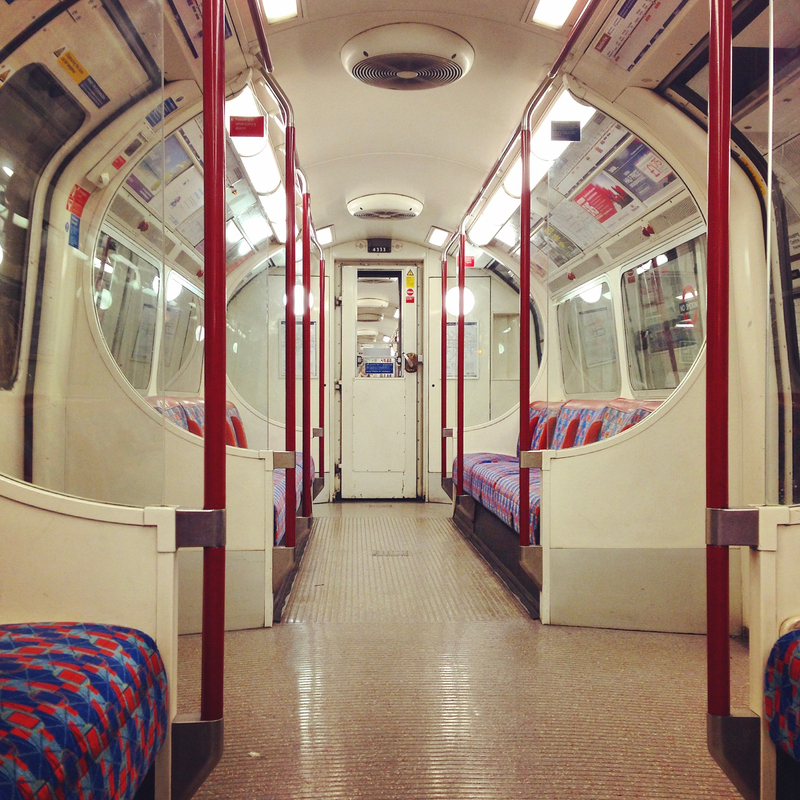 If you’re eagle eyed and book well in advance, you can take a guided tour of some of London’s abandoned tube stations with Hidden London. We’ve tried lots of these and really everywhere has their own versions, from fancy five-star hotels to department stores and we’ve tried quite a few. The Emerald Street Two-For-One Afternoon Tea deal is always good and a great way to weigh up where you want to go, whilst we do have to mention SKETCH for an out-of-this-world wacky but marvellous take on high tea. Yes, it’s a novelty but we adore train travel and if you’re spending some prolonged time in London crossing off your London Bucket List, why not take advantage of a unique route, the Eurostar. 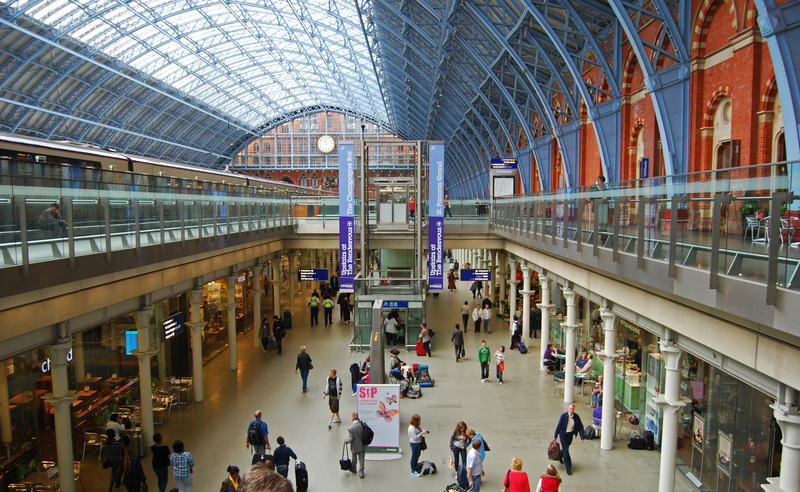 From St. Pancras International, the high speed trains dart under the English Channel hourly every day, linking London to France (Paris, Lille-Europe, Disneyland, Lyon, Avignon, Marseille) and Brussels (Brussels) with routes to The Netherlands coming soon, too. Get a guided tour of all the most important and historic areas of this building where British politics is at play; Houses of Parliament tours are available for the public in a number of ways. The architecture is as stunning as you would imagine, though we all know the stories of how it’s slowly crumbling and crippling in cost due to constant renovations and updates. Heck, parliament may even have to move temporarily out of Westminster to facilitate works, so get in sooner rather than later! A lovely, leafy suburb in the southwest of the city, Wimbledon is gorgeously green and is a nice little town to explore. However, obviously the iconic thing to do there is visit the historic tennis club. We were lucky enough to get tickets to it during London 2012, however it rained incessantly and over 8 hours at the iconic lawn tennis club we saw collectively about 40 minutes of play. When the sun shines each June and you can get tickets (day tickets are available if you endure the queue) you’re guaranteed a good, if a bit pricey, day watching play court-side. Deuce! You’ll find true Londoners selling their blossoming blooms here every Sunday morning, cutting deals, hawking their wares and engaging in friendly interaction with loyal locals and tourists alike. A wonderful way to begin the day, grab a coffee and pastry and walk the length of the road market taking in all the beautiful colours, sights and smells. An absolute London bucket list must-do, these gorgeously crunchy, sweet and spiced candied nuts are cooked daily in little gas-fired drums by traders along the busiest bridges traversing the Thames. They’re easy to make at home, but there’s nothing like a brisk walk by the river with a cup of these to chew on as you take in the sights. 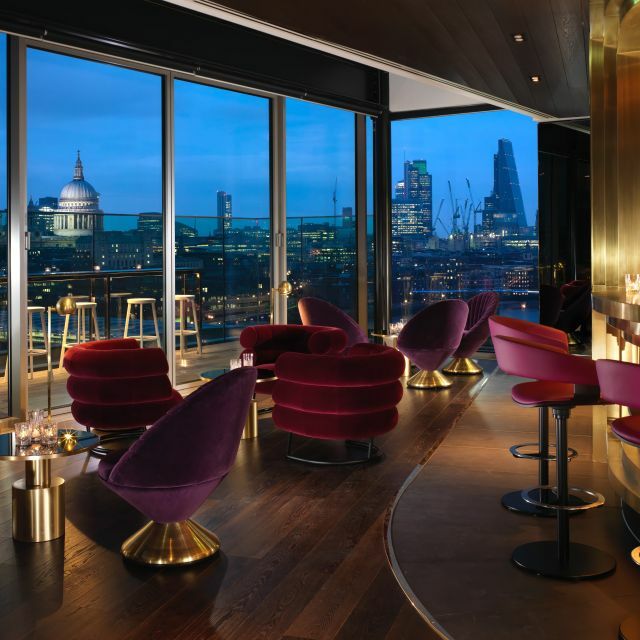 Rumpus Room is a cocktail lounge situated on the 12th floor of the Mondrian London at Sea Containers, a stunning spot to sip champagne or gin cocktails (or one of the signature punches) and take in the gorgeous view. It’s got an Art Deco allure with contemporary touches throughout and there’s live music and DJs Wednesday to Saturday evenings. Bookings are only available for parties of four or more but rocking up as a walk-in they will usually accommodate with a small table, on a limited timeframe though. Stay for a drink or two around sunset, marvel at the glamour, coo at the view and then go about the rest of your chic evening in the city. 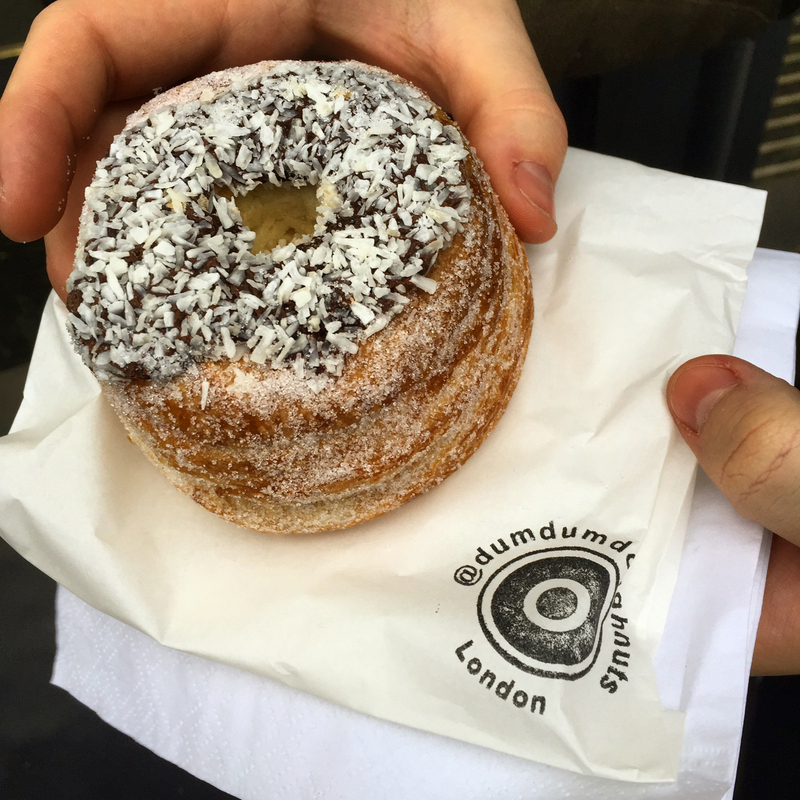 Crosstown and Bread Ahead are the kings of the London doughnut scene, but there’s also new kid on the block Dum Dum and the long-established St. John. 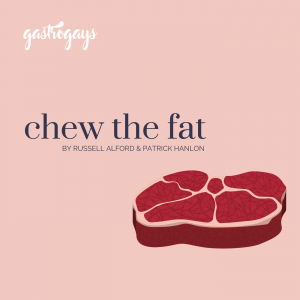 Either way, try one of London’s trendiest convenience foods in all forms of fancy flavours! All the greatest stories housed under one roof at this King’s Cross beacon of historical publishing known as The British Library. We’re keen to peruse the cookery section to see historic examples of what would fuel the machine that is cook book publishing today. We’ve lost count of the amount of times we’ve dined here and safe to say very single person who asks us for suggestions of London restaurants is instructed to dine here. 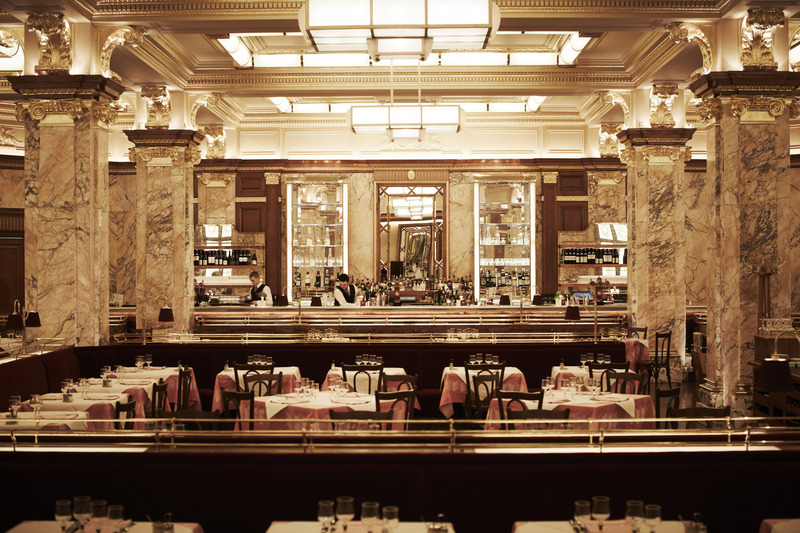 We wrote a full feature on Brasserie Zédel and it needs to be crossed off your London bucket list, stat! Trust us. An oasis of calm amongst the flora and fauna of Hyde Park in central London, while away an hour or so pedalling leisurely along the Serpentine lake. 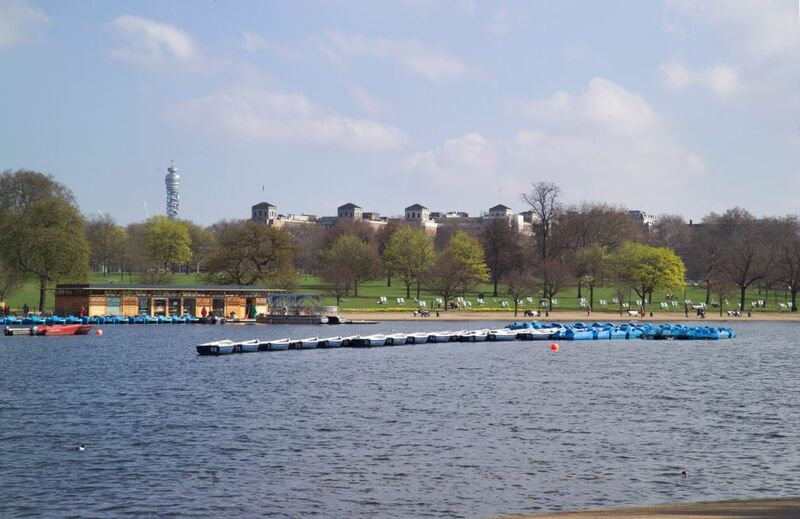 Available from April ’til October – roughly running late morning ’til early evening – it’s £12 per adult for an hour and each pedalo can hold six people. 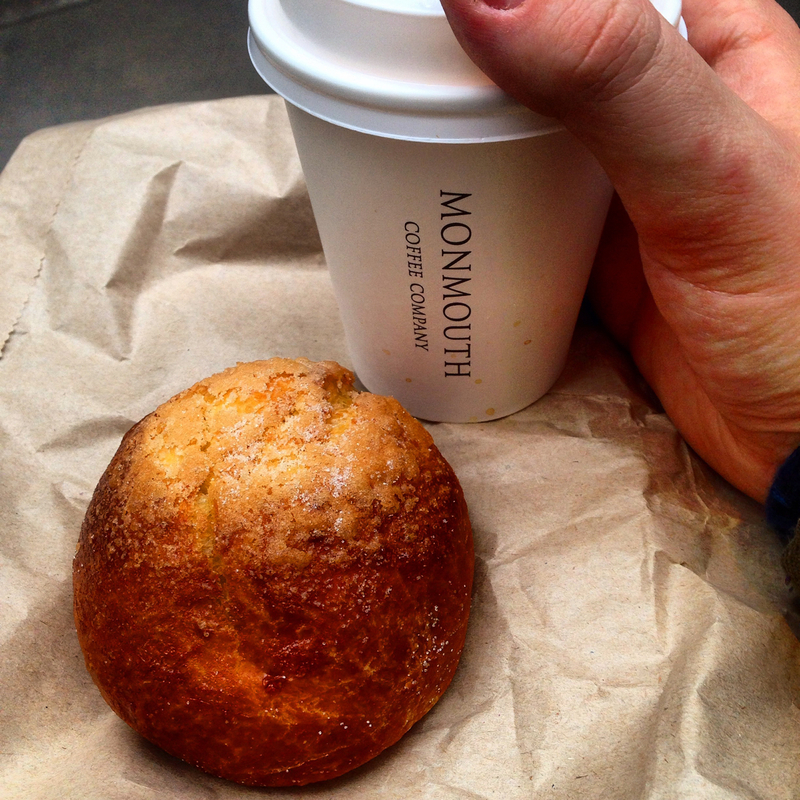 Everyone has their favourite coffee haunt in the city and Monmouth is ours, so of course it makes our London Bucket List. 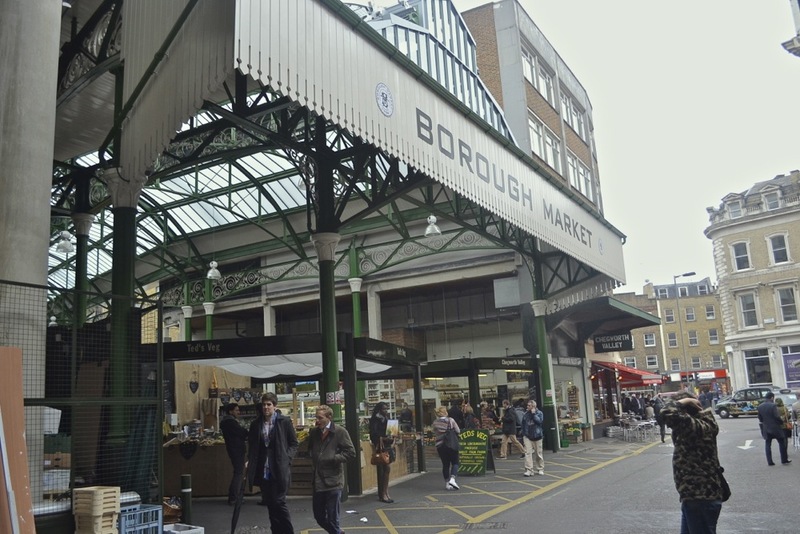 With two branches, one in Covent Garden and another at Borough Market, you’re always guaranteed to endure a queue. Trust us, it’s worth it. This is *the* place to hand-select the finest beans to brew coffee at home whilst it’s also one of the best coffees we’ve ever tasted. Their house blend and organic blend change often, keeping things fresh, but the café au lait is sensational time and time and time again! 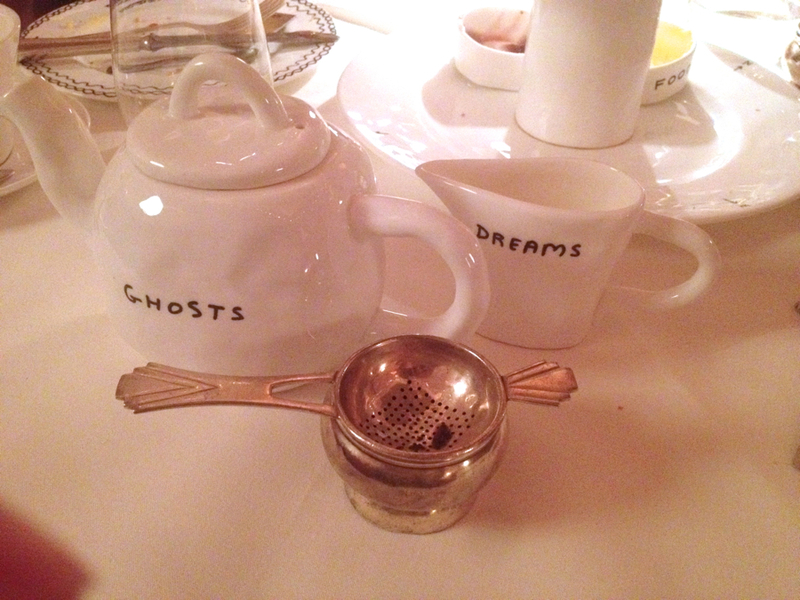 A very london pastime, so an important addition to our London Bucket List. When the sun shines over the city, there’s really nowhere better than a couple of drinks with an incredible view. 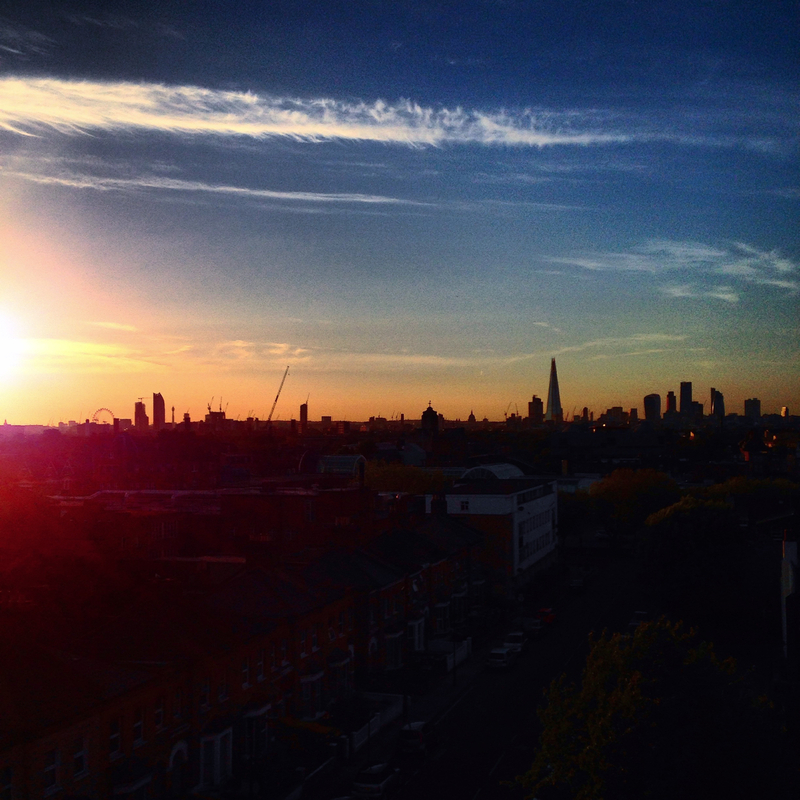 We really like Franks in Peckham for this absolutely unrivalled, unspoilt vista of the London skyline – particularly stunning on a warm summer’s eve. So there’s your London lot – our London Bucket List with 50 different things to do, see, eat and drink in the UK capital! Happy ticking off – tell us in the comments below if we’ve missed anything important, in your opinion!